Cure your insomnia with bright light therapy. Bright light therapy involves sitting in front of a therapeutic light box for a prescribed amount of time each day. Therapeutic light boxes use diffused fluorescent light bulbs to produce at least 10,000 lux illumination. You do not stare at the light. Instead, the light is angled to brighten your head, body and the activity you are engaged in. Save the suntan lotion for the beach. 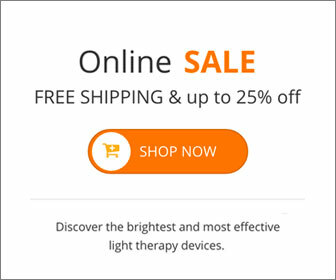 It is not needed by most people using bright light therapy since most therapeutic lights filter out UV rays. Eye strain, eye irritation and nausea are the most reported side effects of bright light therapy. Patients using bright light therapy for SAD have reported the rare side effect of hyperactivity and difficulty sleeping. All of the reported side effects either diminish on their own or merely require the doctor to adjust the amount of time a patient spends exposed to therapeutic light. Special sunglasses are available for intense glare under a bright light box. 3. What Time is Your Internal Clock On? Many individuals suffering from a sleep disorder suffer from a circadian rhythm disorder. Their biological clock is set differently than their schedules permit. If you allow your internal clock to take over, you get enough sleep but it occurs at strange times. People who fall asleep early in the evening and wake up unusually early are often diagnosed with advanced sleep-phase syndrome. Night owls or people who stay up late and cannot rise in the morning are considered to have delayed sleep-phase syndrome. Bright light therapy helps with both of these conditions. Visit a doctor who specializes in sleep disorders for a proper diagnosis of your insomnia. Ask about bright light treatment to reset your biological clock. Sit in front of a bright light box between six and nine in the morning if you have DSPS. Your doctor will recommend the daily amount of time that is needed in front of the light box. Avoid bright light in the early evening and your biological clock should begin to adjust itself to a normal schedule. Find a bright light early in the evening to adjust your internal clock from early bird to normal bird. Treatment with bright light therapy has shown effective in treating ASPS, which is more common in senior citizens. This entry was posted on Monday, June 27th, 2011 at 9:54 am	and is filed under Light Therapy. You can follow any responses to this entry through the RSS 2.0 feed.